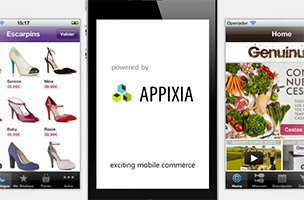 Cloud-based web development platform Wix.com has announced its acquisition of Appixia, a platform for building native mCommerce apps. By joining forces, the two companies will allow businesses and individuals to build their online presence using the pair’s tools for creating native mobile applications. Wix launched its mobile adaptive solution last year, and now, over 30,000 new mobile sites are created by Wix users each day. Appixia helps retailers build native mobile apps, complete with features including push notifications, barcode scanning, geolocation services and credit card scanning. Meanwhile, Wix’s toolset offers website creation, business management tools, third-party app integration and more. “Appixia is the perfect addition to the Wix platform. It truly embraces our mission of bringing the most function-rich and innovative technological solutions to users, regardless of their technical ability or budget,” said Avishai Avrahami, Wix’s CEO, Co-Founder and Chairman. The terms of the acquisition weren’t disclosed. More information on Wix is available on the company’s website.